PAYCE has a long relationship with this rising young star in the Brad Jones Racing team, providing support in his early racing career in the open wheel categories of the Australian Formula Ford Championship, where he was crowned ‘Rookie of the Year’ in 2012, and the Toyota Racing Series in New Zealand in 2014. In 2015, he was the winner of the FIA Young Drivers Excellence Academy – Oceanic Division that earned him a place in overseas workshops, where he learnt a range of skills from leading instructors in the international motorsport world, including Formula One. 2015 was also his first full year participating in the Dunlop Development Series, where he finished 12th in the championship. He moved up the leaderboard in 2016 to finish the season in ninth spot. 2017 was his third year competing in the development series with primary sponsorship support from PAYCE. He competed in all Dunlop Super2 Series rounds that season in a new Holden Commodore VF and also in two rounds of Supercars as a wildcard entry. He finished the season in 7th place with 16 top ten finishes out of 26 starts, including two second placings at Sydney Motorsport Park and Newcastle. The highlight of the 2017 season and arguably his career was his win in the inaugural Bathurst Super2 enduro which unfortunately did not count for the championship. He also co-drove for the BJR team in the Supercars endurance races at Sandown, Bathurst and the Gold Coast. 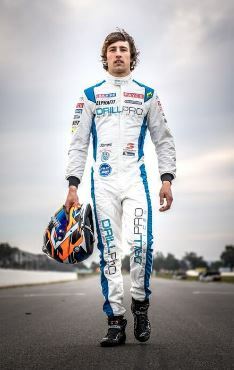 This year Macauley continues in the highly competitive and often unforgiving Super2 series in a new Commodore VF and plans to enter as a wildcard in selected Supercars races as well as again undertake co-driving duties in the Pirtek Enduro Cup events.